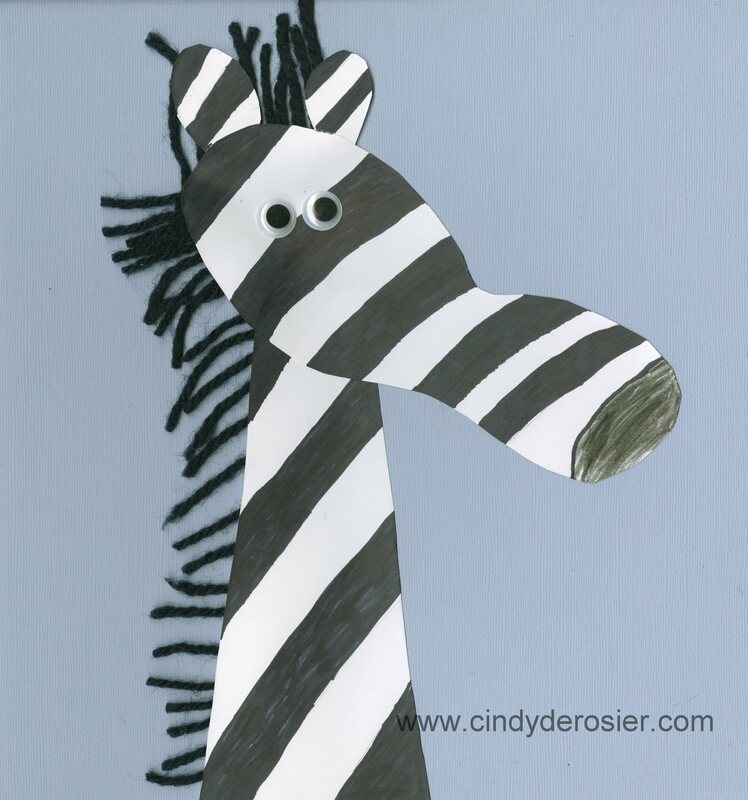 Turning your child’s footprints into animals never gets old (at least not for a Houston kids’ podiatrist like me) but it can sometimes get messy…which is why I love this Zebra craft from Cindy DeRosier’s My Creative Life. Instead of requiring paint dips and major clean up, you simply trace your child shoe print, cut out the shape and continue. Hope you enjoy! Trace your child’s left shoe on white cardstock, then cut out a neck and two rounded ears. Use a sharpie to add black stripes, eyes, and a nose. Prepare to make the mane: take the black yarn and loop it back and forth, then cut through the loops to make a whole bunch of pieces that are all the same size. Turn the neck piece over and add a strip of adhesive, then press the mane pieces in place. Add adhesive between the ears and add the rest of the mane there. Glue each piece to a background paper and add googly eyes or draw the eyes in with black sharpie. You are done!